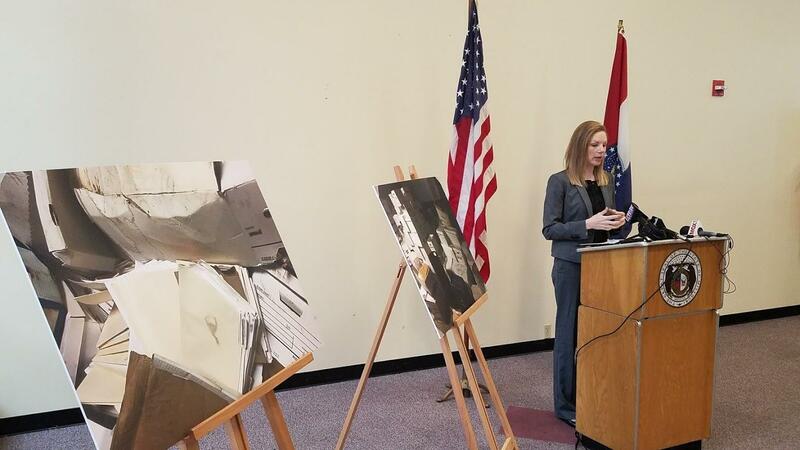 Missouri state Auditor Nicole Galloway details her office's audit report of Ferguson's municipal courts on Wednesday. This is the 27th audit that the state’s office has conducted since Michael Brown’s 2014 shooting death brought attention to the way courts used ordinance violations to fund city services. 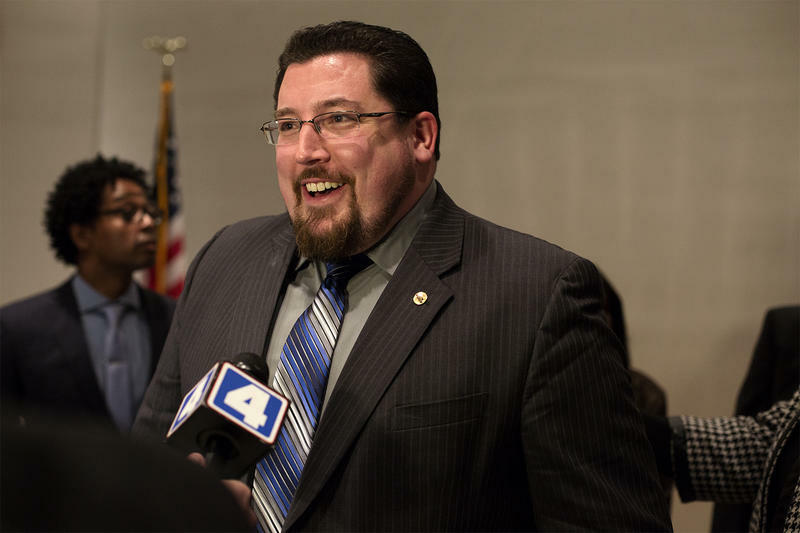 Ferguson got a “poor” rating, the lowest possible, meaning a follow-up audit will be required. City employees stored court records in insecure facilities, which caused some to suffer extensive water and mold damage. Galloway said her office had to hire a mold remediation company in order to be able to conduct the audit. The city could not account for $1,426 in fines and fees that defendants were required to pay. “Because some essential records were altered, deleted or could not be located, it cannot be determined in additional monies may be missing,” the report said. The city didn’t have procedures in place to make sure that safeguards on its electronic records system were followed. The auditors found several instances in which court personnel had changed a fine or fee on a case without noting why. The city didn’t adequately supervise the people who handled the money. The city leveled a number of fines and fees not authorized by state law, including a warrant recall fee, a fee to mail a letter ordering a defendant to show up in court and a fee if someone filed a police report but then declined to prosecute the case. The city prosecutor at the time allowed court personnel to sign her name to documents. Control over the signature stamp of the municipal judge was also lax. For example, he said, the person who handles the cash is no longer the same person who does monthly reports. He said court personnel can now see who has made changes to court cases, and the city has repealed the ordinances authorizing the fines and fees. In addition, Seewood said there’s been a wholesale staffing change at the municipal court since the audit, including the judge and the prosecutor, who are specifically mentioned in the report. Galloway said the city is to blame for the delay in getting the report out, and added that her office will be back to make sure Ferguson is making the changes it’s promised. 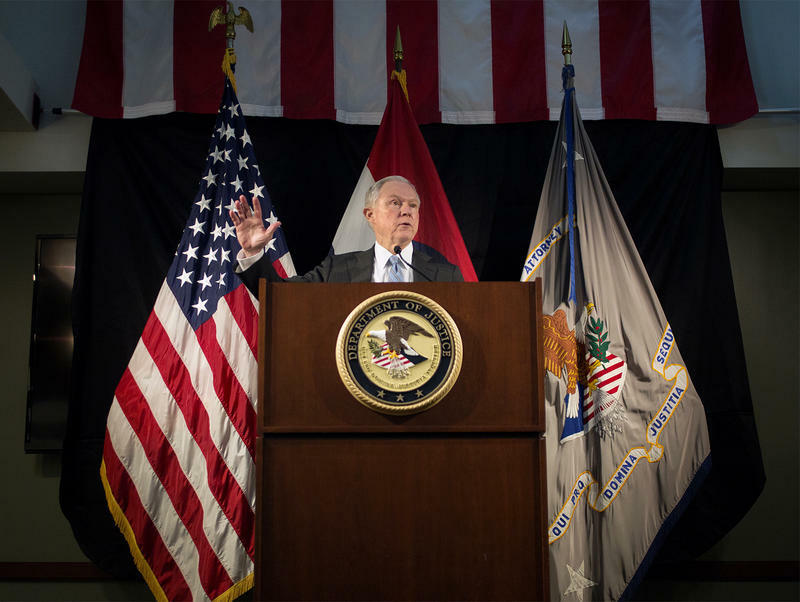 It’s been more than a week since U.S. Attorney General Jeff Sessions said he wanted to review all agreements between the Justice Department’s Civil Rights Division and local police departments — a move that could have a major impact in Ferguson. If the consent decree that came after the August 2014 fatal shooting of Michael Brown goes away, there would be no independent monitor to oversee the significant changes to the police department’s training and operations, including a new use-of-force policy. It’s not clear who would pick up the accountability baton.